The Rootbeer Caddis was tied last fall looking for a variation that would sink quickly, have a bit of flash along with good movement. 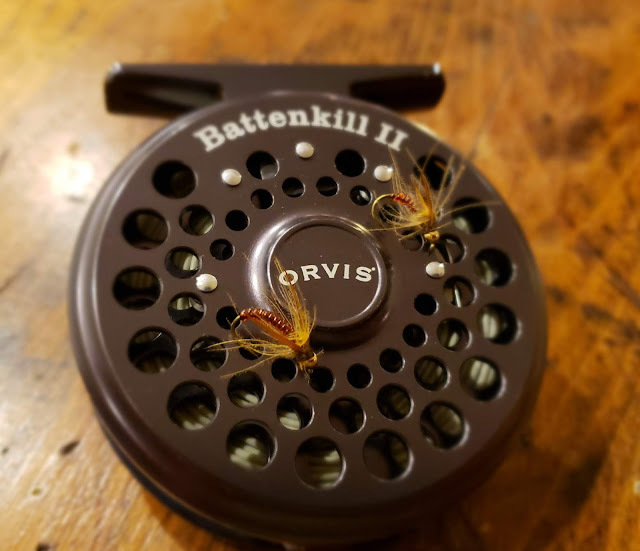 It proved very effective as the trailing fly on tandem rigs. Hope it adds to your box. Thanks Bill, and thanks for stopping by. They should be tungsten, since that is all I have bought in recent years. But there could be a few stragglers in the bins. I have about a dozen different brands, and just grab the right size. Looks very good, the wet CDC gives it a very natural look. A great fly! Thanks much! I appreciate the visit.